Available in: NEW 2.2oz tube, 2.4oz bottle and 9.5oz bottle. ForPlay®Lube DeLuxe® Gel Plus Hypoallergenic formulated for sensitive skin, this lubricant has a velvety smooth texture that extends into a long lasting lubricity. 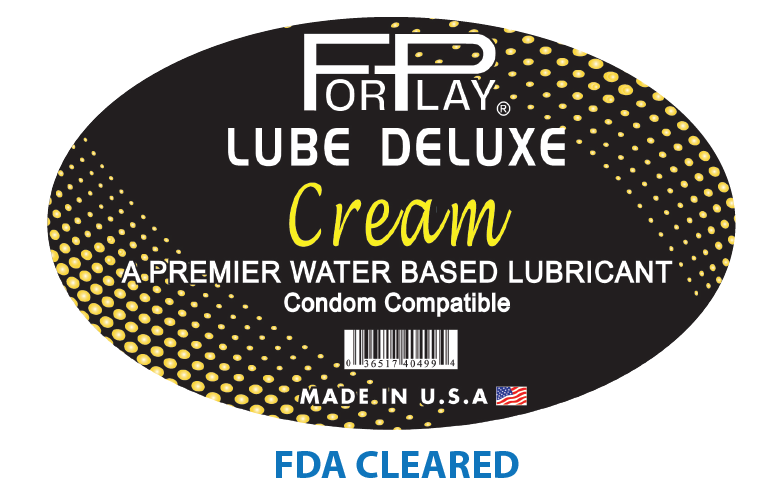 ForPlay® LUBE DeLuxe® Gel Plus represents is a breakthrough in hypoallergenic personal lubricants. Available in: 2.4oz and 9.5oz bottle. Available in: 2.2oz tube, 5.2oz tube, and 8.25oz pump bottle.